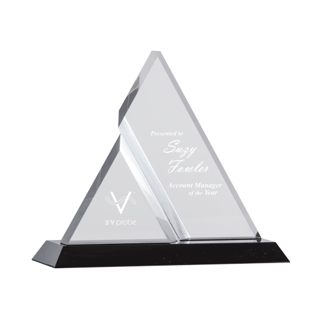 The Zenon Triangle Acrylic Award has a shape that allows the Newline team to get creative with your logo! Made of 1" thick crystal clear acrylic on top and the base of finely polished black Lucite, the Zenon available in 2 sizes is a spectacular acrylic trophy with unique engraving areas. 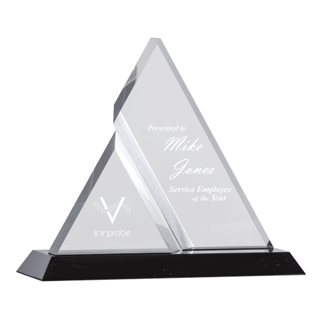 The Zenon is best suited for awarding recipients with little engraving and one company logo since the main text area on the award has a faceted bevel and steep angle reducing the area available for your laser engraved text. Often used as a corporate award to recognize an employee of the month, the Zenon Acrylic is a powerful example of creative acrylics by Newline. 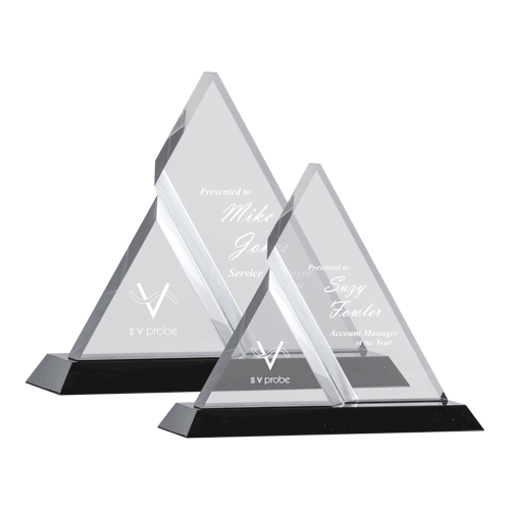 Zenon Triangle Acrylic Award 9"
Zenon Triangle Acrylic Award 7"